Named after the mountain in the heart of the National Park area of Corsica, the Paglia Orba carries up to 590 passengers and 120 vehicles on each of its voyages. 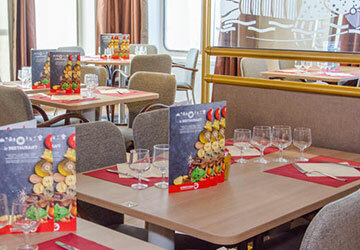 This veteran vessel is far from the biggest ship in the Corsica Linea fleet but does not lack amenities and facilities. On board you’ll find luxurious cabin accommodation, a wide range of food options, a dedicated kids area and even room for your four legged friends in the designated kennel section. Cabin accommodation comes in the form of two and four berth rooms, perfect for relaxing and maybe even getting some sleep during your voyage. Passengers who book outside cabins will also benefit from having a television in their room. 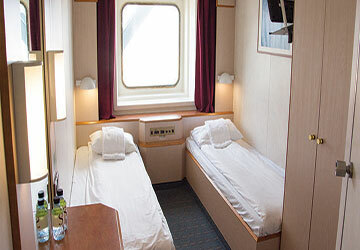 If you decide not to book a bed on board it doesn’t mean you are missing out on a comfortable crossing. 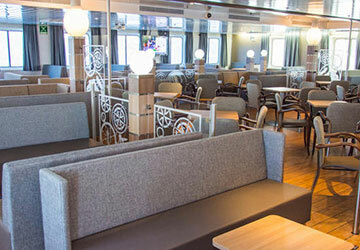 The lounge areas have comfy armchairs, ideal for taking it easy during your sailing. 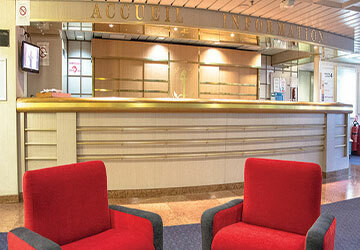 Corsica Linea provide a wide variety of food options for varying budgets as well as tastes. The more formal restaurant setting offers the chance to taste the flavours of a menu inspired by the best Corsican recipes. If it’s fast food you’re after the snack bar serves freshly prepared sandwiches and salads, as well as pizzas, gourmet desserts and a wide selection of cold drinks. There’s even a sweet and savoury buffet option where you can indulge in pastries, dairy products and hot drinks. An array of soft drinks and alcoholic beverages are also there to be purchased at the bar. 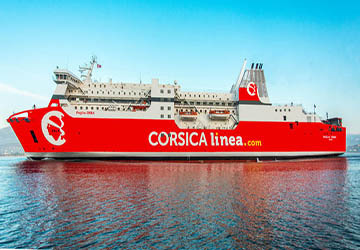 For foot passengers joining the Corsica Linea liner you don’t have to be huddled around your belongings for the whole trip. There are luggage storage areas on board, allowing you the freedom to roam the ship and take advantage of the available conveniences. All passengers can enjoy the voyage, even your pets, as a special kennel area is available for you to ensure your four legged friend also has a comfortable crossing. Please Note: Whilst we have taken great care in making our Paglia Orba guide as accurate as possible, onboard facilities, services and entertainment may vary depending on the date and time of year that you travel, facilities mentioned may change without notification and ferry companies reserve the right to operate vessels other than those mentioned at time of booking without prior notification.